SOUPIR FRENCH NATIONAL CEMETERY No. 2. 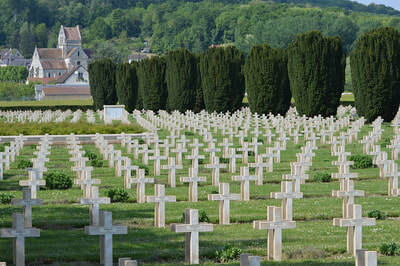 Soupir is a village and commune in the Department of the Aisne, Northern France. 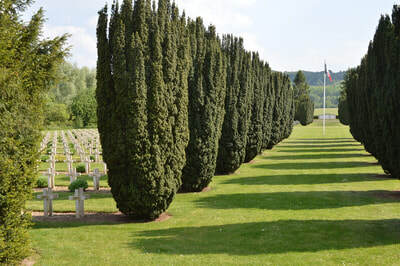 The French Northern cemetery is situated on the northern side of the D925 road from Soissons to Guignicourt, about 20 kilometres east of Soissons. 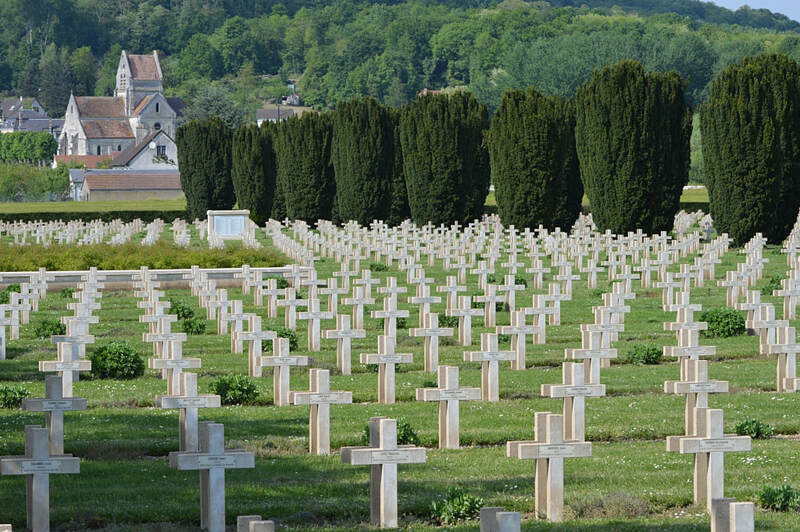 The Commonwealth burials are in Graves 1898 and 1899.